You an listen to 'Water' here. Last year I made 'In time to voices' my cd of 2012. The energy, pace, sing-a-long quality, the beauty and the best mix in singing and the sense of longing in Laura-Mary Carter's voice made the album a total winner as far as I was concerned. Pop and rock just doesn't get a lot better these days. You can read my review here. 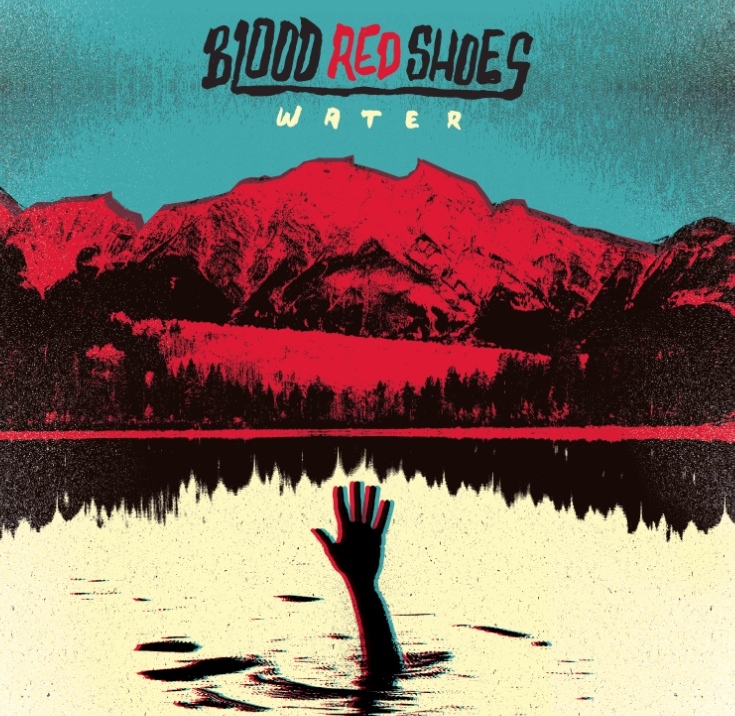 Early 2013 Blood Red Shoes is back with a three song EP, that lasts about 10 minutes, but says it all. 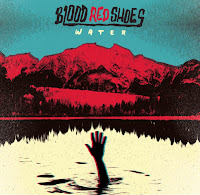 Just like its 2012 bigger brother, Water shows the growth of Blood Red Shoes as a band and as songwriters. There is so much ear for detail in the music. (Of course this music can never be replicated as a duo on stage.) Greatly multi-layered guitar tracks, a new one flying in with a different sound or a nice lead line all the time while Steven Ansell keeps pounding his drums to fill up everything that needs filling in a duo setting. Together they divide singing duties. Carter leads opener 'Red river', a fast paced rocker, with dark guitar tones and a fast flowing riff, which Carter's thin voice only just manages to rise above. 'Black distractions' is also loud., the whole of Water is, but it is more melodic than 'Red river'. Steve Ansell comes to the point quickly. Just a few lines in the verse and lets get to the heavenly chorus, where the harmony capabilities of Ansell and Carter are shown in full glory. Throw in some extra guitar work with a fancy effect and we have a Blood Red Shoes anthem. Where 'Red river' is about submission or at least being verbally forced into giving up, 'Black distractions' are about being there for someone without being present. While 'Idle hands', the final track is a Narcissus in reverse, "reflections in the water so cruel". So why watch? 'Idle hands' is another winner. In less than 3.30 minutes Blood Red Shoes showcases everything that it it good at. Just read the above and you can surmise why this song is so good. It looks like I really have a new favorite band in the 10s. And why not? Blood Red Shoes seem to offer it all. Let the music play and isn't Water jsut what sustains everything alive on this planet?